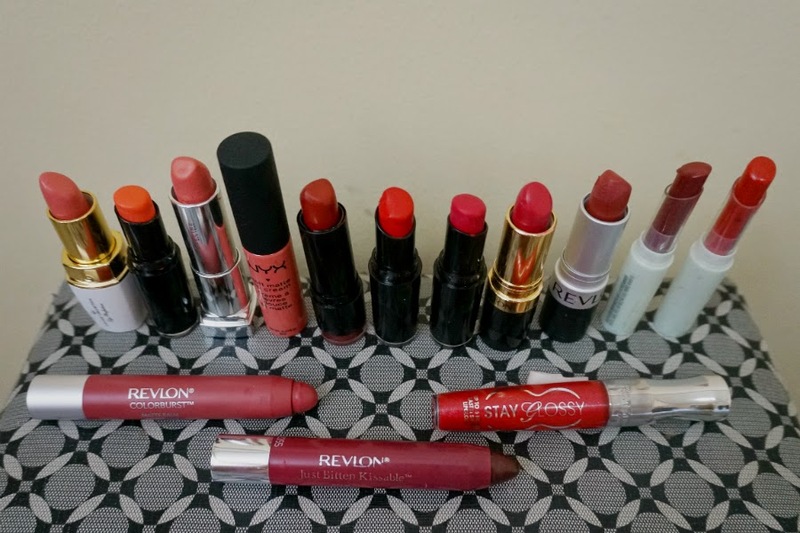 The red lipstick is a classic color would take you anywhere you want to go. For a more retro look, stick to non-glossy, satin or matte finish. 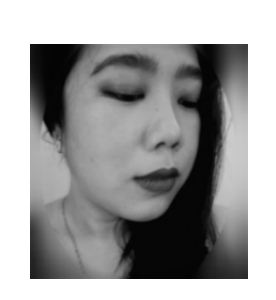 Hi again. I've been in hibernation for a few days. The weather is just so conducive to nothing else but lying in my bed and sleeping. 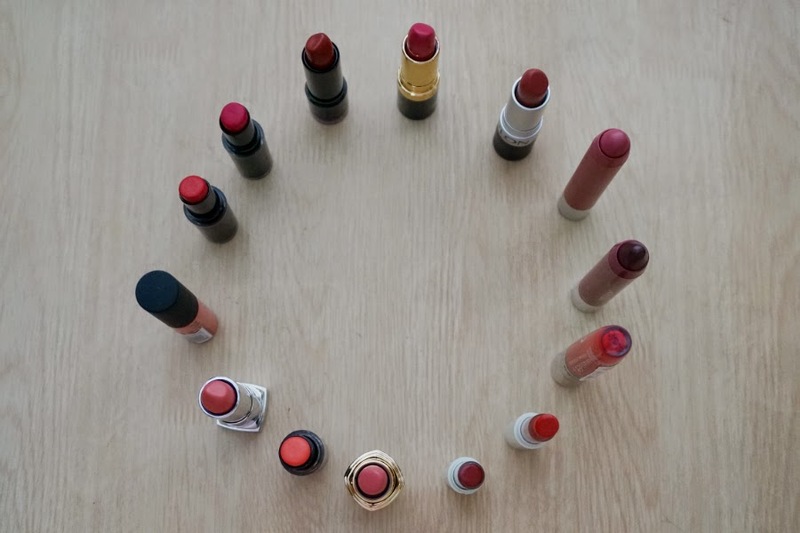 I've been meaning to make a swatch of all the red lipstick I own but I felt that I don't have enough of them to merit a post. I'm still not very comfortable wearing such bold colors out and about, especially if it's just doing normal everyday stuff like going to mall, shopping or grabbing something at the grocery. 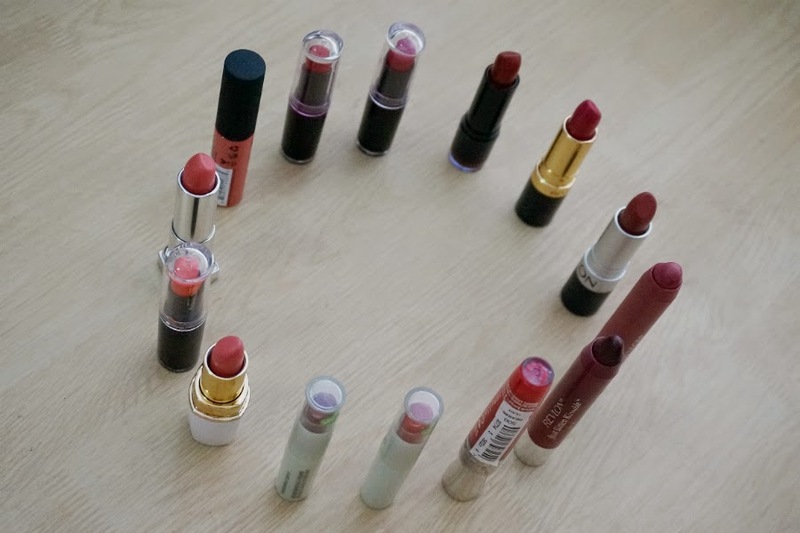 A red lipstick almost always gets attention. I don't think I need all that attention while I'm pushing a cart full of bread, vegetables fish and what-nots. 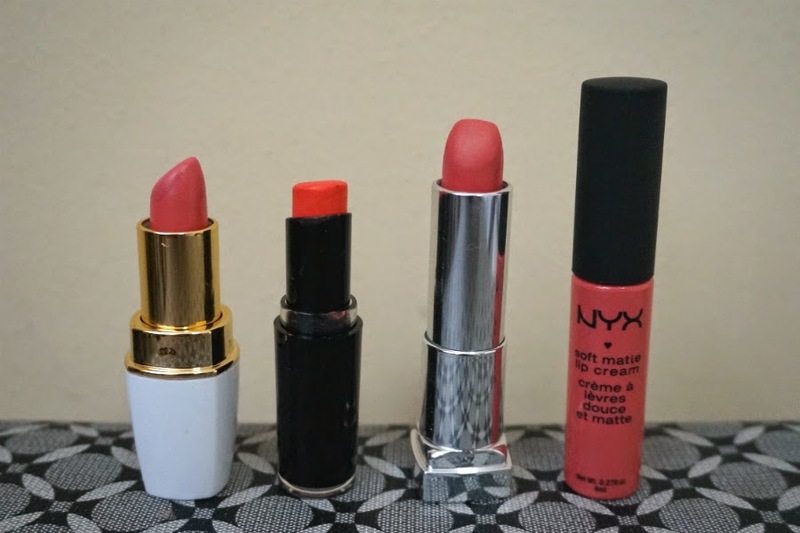 So let me start with four coral/orange lipstick that I have. I don't really wear these much because they can look neon-y on me. I can't remember the last time I wore any of these out and about. 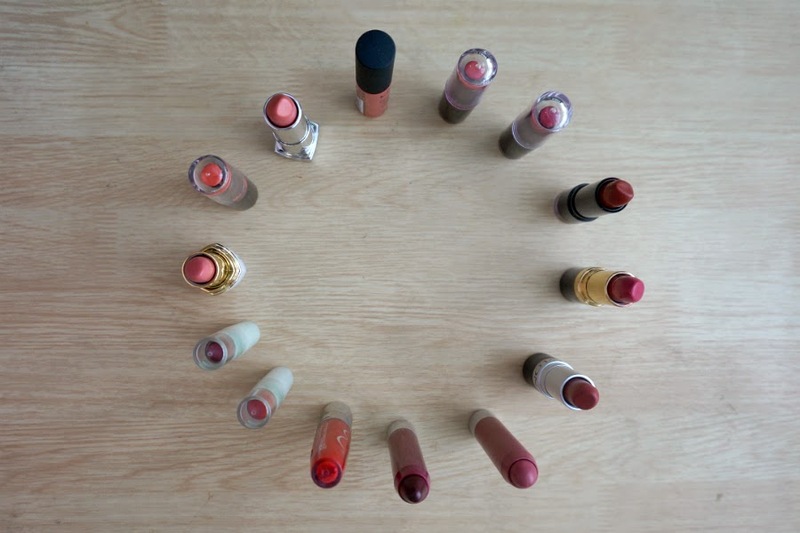 If I have to choose, my favorite would be Crema, which is a soft pink-coral lipstick that's sheer enough for it not to be too bright on my lips. 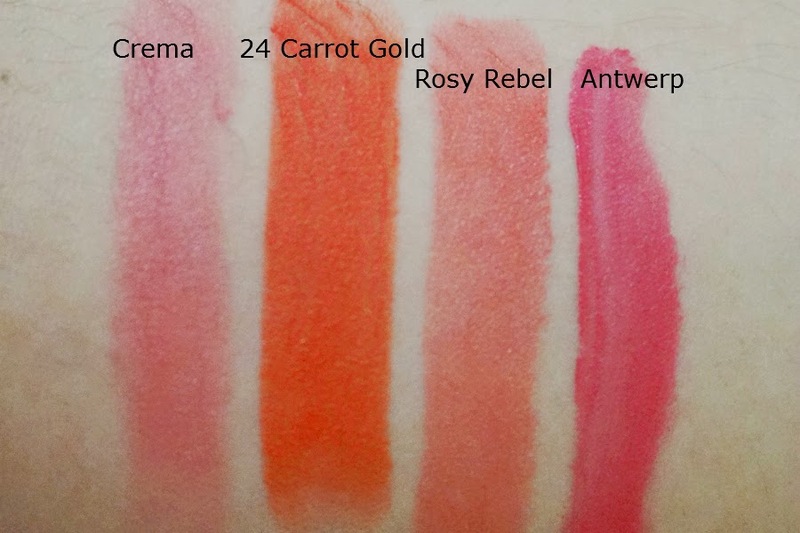 In a perfect world, I would totally rock that 24 Carrot Gold orange goodness but this is not a perfect world, so I have only swatched this one and off it goes to the makeup burrows. 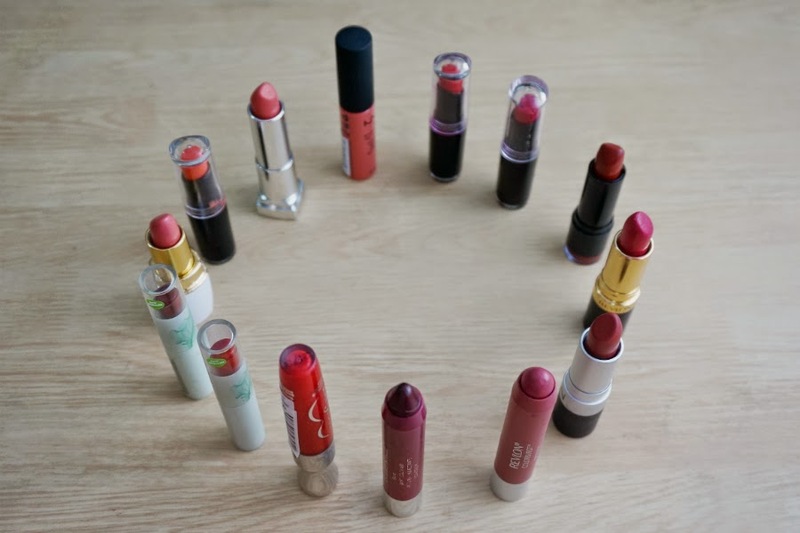 And now to the red lipsticks - I have ten of them right now. Like the corals, I don't wear these often. I would love to wear them everyday but I can't. 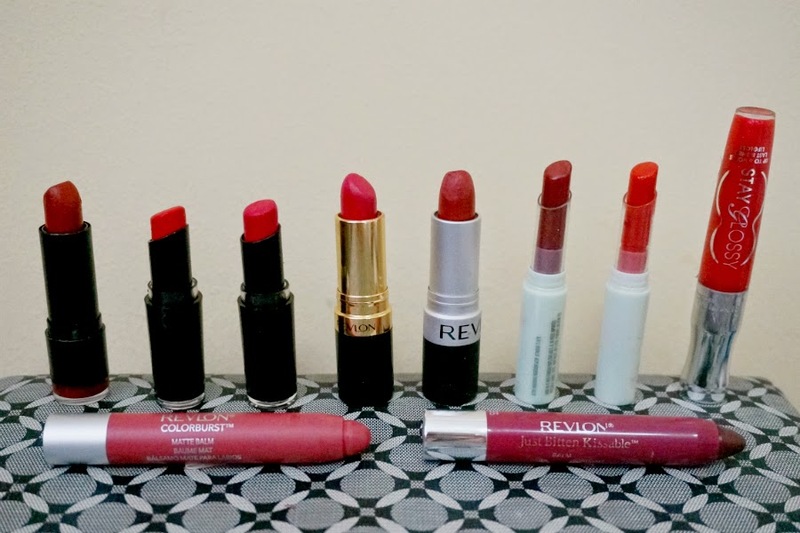 The striking contrast of my rather light complexion and a bright red lipstick is an attention-magnet. 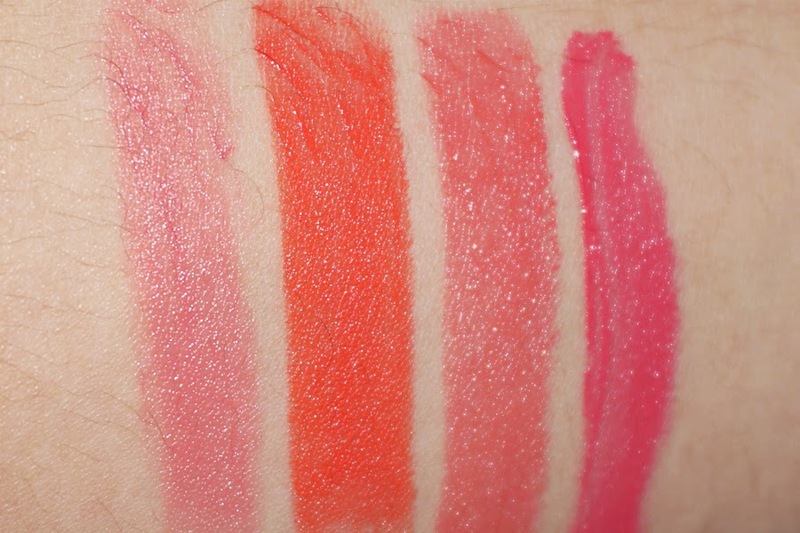 For the reds, my favorite is still deep, blood-red NYX's Snow White, with the brighter Stoplight Red a close second. Treasure Hunt is also a new favorite because it makes my lips so juicy and perfect. 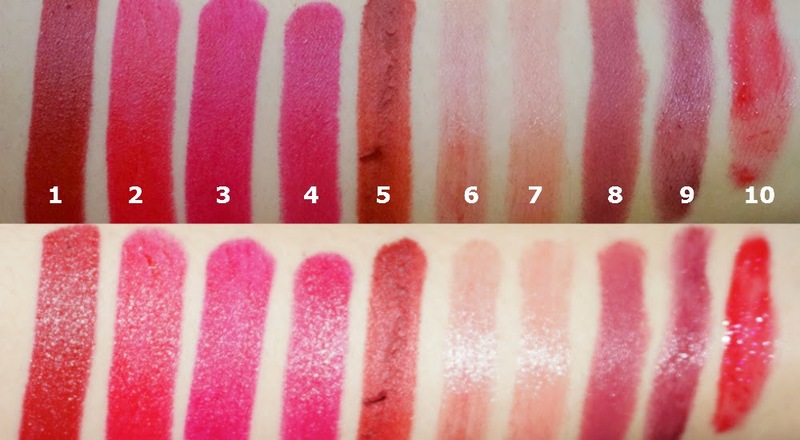 I feel that I am lacking a true red in my collection, so I am thinking of adding a couple of reds, maybe Ruby Woo or Viva Glam I. I still need to look up swatches to finally decide.